The price of meat has been going up, and up, and up, and up and up. Actually let me clarify: the cost of what was once cheaper cuts of meat has been going up. The more expensive cuts have increased slightly, but not nearly as much as plain old mince or sausages or gravy beef. And the increasing price of meat has had an impact on my grocery budget. I still do a big meat shop once a quarter, but I find myself looking every week for really good specials on mince, chicken fillets, whole chickens, legs of lamb and roasting beef. With those prices in mind, here's how we can afford to have a roast dinner every Sunday (without fail, my family almost cry if there's no roast for some reason). If you follow my meal plan, you'll see that I I alternate between chicken/beef/chicken/lamb/chicken/beef/chicken/lamb and repeat. When we have roast lamb or beef I make sure I cut the meat so that we get at least two dinners from the one roast. I serve one for dinner that night and put the extra meat into a Tupperware container, cover it with gravy and freeze. It is then ready for the next time that particular roast is on the menu. 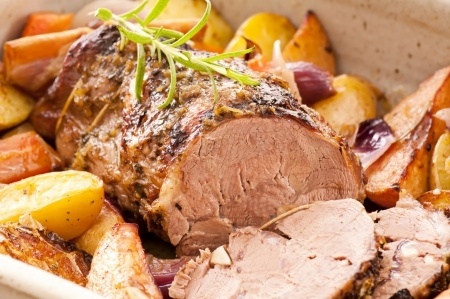 This saves money and makes roast lamb or beef affordable. It keeps the electricity bill or gas for the barbecue bill down as the meal just has to be thawed and then warmed in the microwave, again making the meal cheaper. And if there are bones then those bones are used to make stock for soup or gravy, or to cook rice or pasta - making the meal cheaper still. 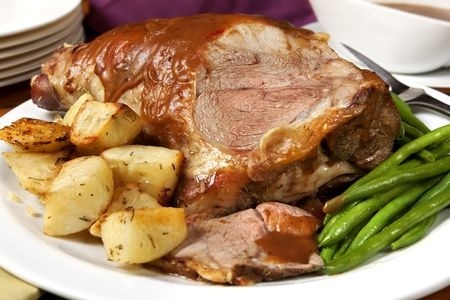 *Cut the slices thinly - this is easier if you let the roast sit for about 10 minutes before carving. *Make sure all the meat is off the bone, even the tiniest shreds. *Portion control - the boys get three slices of lamb or beef, Hannah and I have two. I do spread them around the plate so they can be seen. It isn't mean folks, it's commonsense - we don't need kilos of meat with every meal. 180g per person is the recommended, that's what I aim for. Meat is expensive. I aim to keep it at $5 per meal, even with the rising cost of meat. 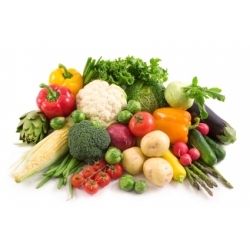 To do this I need to have cheaper cuts and stretch them, add some meatless meals into our meal plan and keep an eye out for the cheapest possible prices - then go crazy and fill the freezers. Just recently chicken fillets were very, very cheap - just $3.69/kg. You can be sure I stocked up! Over the course of three weeks I bought 40 kilos (enough for at least 80 meals), brought them home, skinned them, pulled the tenderloins off and vacuum sealed them. 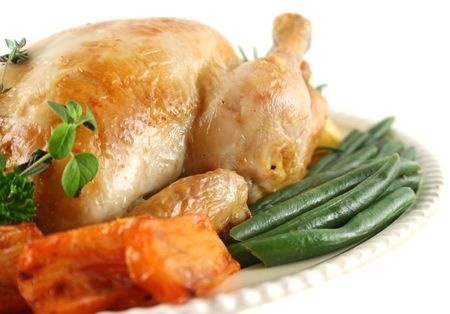 At that price ($3.69/kg) the cost per meal for chicken is just $1.85! Or if you prefer, just 31 cents per serve! That means I could afford to pay a little more per meal for the steak I bought on special at the same time. Swings and roundabouts; as long as my average cost for the meat component of each meal is between $4 - $6 (rising prices are affecting my budget) I am happy, we eat well and most importantly my family is happy.